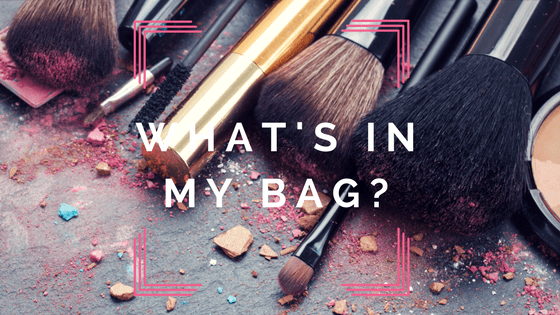 What’s In My Makeup Bag – Travel Ladies Speak Up! 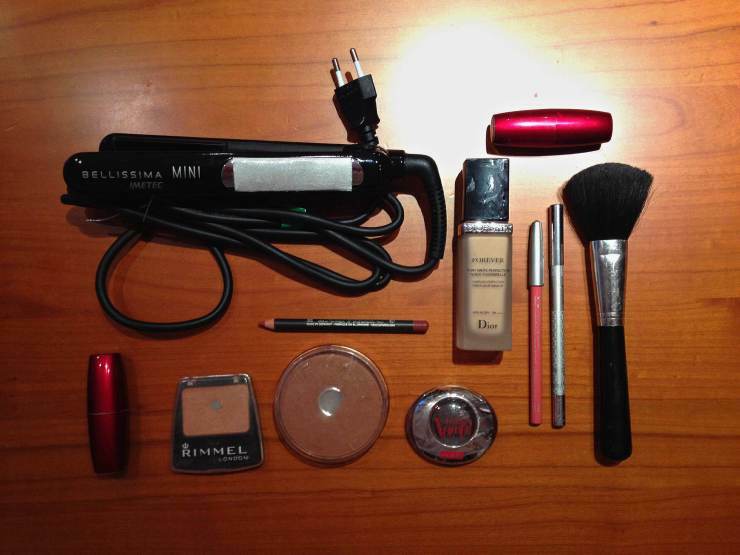 Have you ever wondered what world travelers pack in their toiletry bags? 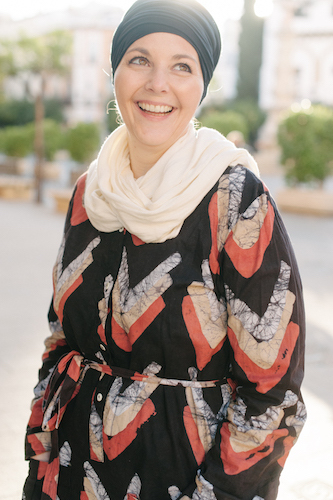 I asked my fellow female travel bloggers to share their secrets on staying clean, fresh, and picture ready while jet setting around the globe. a few hydrating sheet masks. I try to keep it minimal, but it is important to have these basic things with me everywhere I travel. I may be a minimalist when it comes to beauty products but I do have some trusty must-haves that always travel with me. Lip balms- Yes, plural. I like to have one regular and one with SPF protection. Although technically a men’s brand, I swear by Jack Black with shea butter. Klorane dry shampoo– Great for avoiding “greasies” on long travel days. I opt for the non-aerosol version. Lotion- The air in planes is very drying so I always stash a small tube of lotion in my carry-on bag. Sunscreen- Always a must when traveling to sunny destinations but I do skip it (and opt for regular face lotion with SPF) if sun exposure is not an issue. I like Blue Lizard since the cap changes colors to indicate UV rays. Oil of Olay face lotion– An everyday moisturizer with SPF that I use at home or while traveling when I don’t need proper sunscreen. There are two things that are always in my handbag, my lip balm Chap San and a small bottle of perfume. The first one is because my lips get very dry and this is a life saver. Even in the sunny, windy or cold weather, Chap San will keep my lips from chapping. The other one is not a perfume for myself, but a perfume to protect myself from bad smells around me. Be it a smelly passenger, a vomiting child, a filthy wet market or a rubbish dump, this has saved me from many situations. I highly recommend it if you are traveling in hot crowded places. I’ve spent the last few years trying to make my toiletries bag more eco-friendly. Progress has been good! I’ve replaced disposable razors with a reusable Merkur razor, that I love to bits. I brush my hair and teeth with [easyazon_link identifier="B014TK6AUK" locale="US" tag="maro0a-20"]brushes made out of bamboo,[/easyazon_link] which can be composted once they’ve served their purpose. 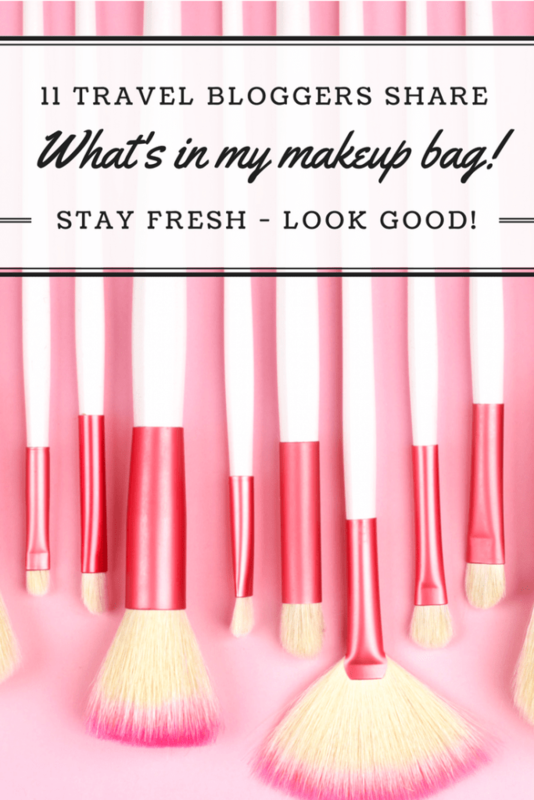 I don’t wear much make-up, but when I do, I try to avoid buying products packaged in plastic. I love the entire RMS Beauty range and Ilia lipsticks (more colors) in particular. I’ve made my own perfume and toner in the past, using rose petals – I soak the petals for six weeks in vodka for the perfume and boil them in water for toner. I smell pretty good as a consequence, if I don’t say so myself! I also never travel without my menstrual cup (they come in two versions: model 1or model 2), which has saved me almost $150 which would have otherwise been spent on sanitary products, over the last two years. My goal for 2017 is wean myself off lip-balm and swap to water only hair washing, so I don’t have to worry about packing shampoo and conditioner whenever I travel (as well as twelve thousand lip creams, which I’m always losing). Imagine the space and money saved right there! My travel toiletries are fairly simple as I’m a carry-on only traveler. a mini-bottle of Origins Checks & Balances facewash and organic tamanu oil as a moisturizer. I use a physical SPF 50 with zinc oxide since it breaks me out a lot less than the chemical formulations. I also have mini hydrocolloid bandages for healing pimples – I love Nexcare’s verison. For makeup, I swear by the following: Laura Mercier tinted moisturizer, also with SPF, Make Up For Ever concealer, Smashbox mascara, and NARS blush. I tend to carry around a few small lipsticks and eye pencils though I rarely use them. For other toiletries, I buy a simple body wash wherever I am once I land – I don’t have a strong enough alliance to any one body wash to bother transporting it. I swear by LUSH solid shampoo – I love their Seanik – and their dry shampoo, No Drought, to go between washings. 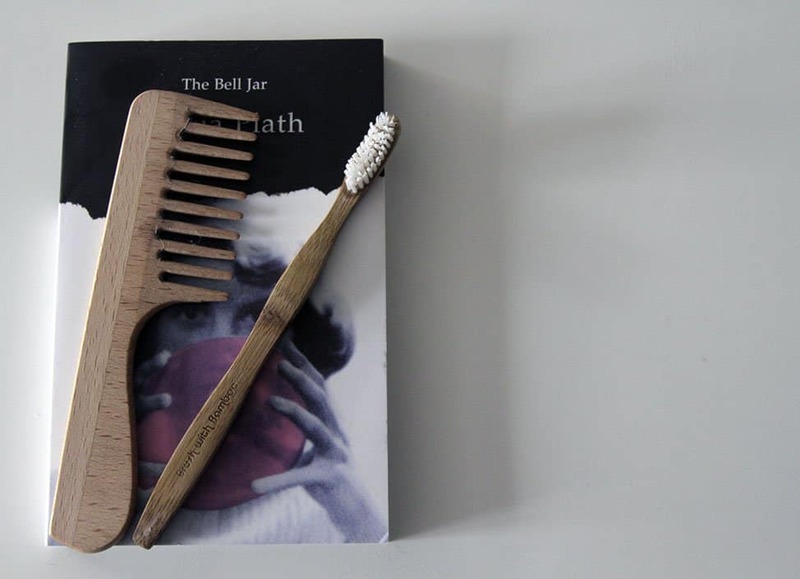 I carry a wide-toothed comb as my hair is straight and easy to take care of. A small travel towel since I stay mostly in hostels. I am a girly girl there is no other way to say it…I am that girl who has a hairdryer on the safari packing list I can’t imagine looking back at my travel photos 20 years from now and regretting always having my hair undone. I don’t do my hair & makeup every day but make sure to look good on epic travel days. Currently in my toiletry bag is: conditioner, shampoo, makeup remover facial whips, daily face moisturizer, night moisturizer, Clinque face wash (buy this brand because I can get it world wide in airport duty free shops), razors, hair detangling spray, and heat protection spray. My makeup is all MAC as it’s my preferred brand and like my face wash I can easily pickup more at airport shops, as I don’t like to switch brands. Makeup bag: 2 mascaras, foundation, bronzer, concealer, 6 eyeshadows, blush, mineralizer finish, and 4 makeup brushes. Oh and you can’t forget my hair dryer & hair straightener. I tend to be somewhat of a light packer, traveling only with a small backpack or carry on, but if there’s something I can’t compromise on, it’s my toiletries. I bring everything I might need, and probably exaggerate. a mini dry shampoo for those travel days where I need to skip a shampoo. I usually use refillable bottles to carry my favourite shampoo and shower gel, plus I carry an intimate soap and feminine cleansing wipes. Make-up remover wipes and a mini facial wash gel take care of my skin while traveling. I also carry a small bottle of Moroccan oil which makes my hair super shiny and hydrated. Then, I carry a small separate bag for my make-up. I don’t use lots of make-up during the day, but I like to get prettied up when I go out at night. Typical things I bring are a BB cream (lighter than foundation), a lipstick, blush, an eyeliner and mascara. A hair straightener, on shorter trips only, completes the picture. Reaching into your toiletry bag and finding you’ve left your favorite lipstick behind or lost your pair of handy nail clippers can completely throw off your rhythm when traveling. 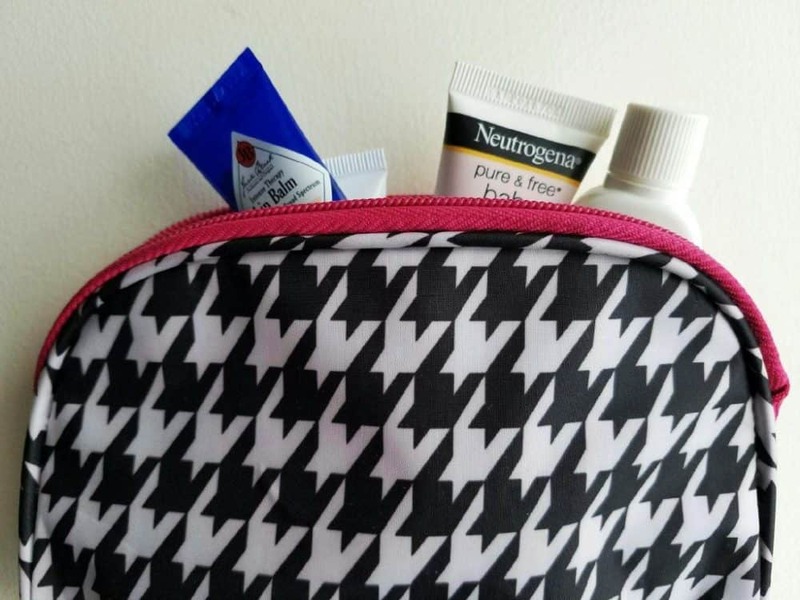 Whether it’s an epic cross-country road trip or a romantic weekend at an exotic all inclusive resort, there are a few toiletry bag essentials that go with me wherever the deliciously tempting wanderlust may pull me. I am not sure where I got this not so good packing habit from but whenever I am traveling, half of my bag consists of toiletries. I know I am only supposed to bring small containers but I am traveling long term and afraid to run out of stock. After numerous confiscation of products I like at security check, I’ve had enough. It was time for me to learn to bring what I only needed. This set of dry shampoo, healing toner, sea salt spray and lip balm was the best package I could find. It fits my carry-on and is functional in every way! With this, I am no longer carrying big containers that I don’t end up using. All these are also natural (homemade) so it surely do help a lot in maintenance for less! I’m not someone who travels with lots of make-up – a black mascara and an eyeliner pen for special occasions is about my limit, and besides the usual shampoo, conditioner and wet wipes, I simply cannot travel without Dry Shampoo. It’s a lifesaver! Perfect for refreshing and revitalizing hair and giving yourself a boost when shower options are limited/restricted. Although there are expensive brands out there, I buy GirlzOnly Dry Shampoo at less than $3 a can! It’s such a bargain and I never travel without it! The Baggallini line carries everything from a bright, fun travel trio organizer to a compact cosmetic case and I love the trendy look and storage space offered by Dakine Prima’s toiletry tote. For those who want simple and basic, you can’t beat the Victorinox overnight kit. There you have it! Hopefully this post gives you some insight into the different things travel ladies love to have on hand when they are off exploring the world! Do you have a “must pack” item (or 10!) to share? Leave a comment below I’d love to know! Be a part of the MarocMama family! Do you want access to all things MarocMama? Join our community of readers to get updates on new posts, inside information that won't go on the blog and so much more! Sound good? Pop your email below and you're in! Great to hear I am not the only traveler with a ton in her makeup bag!